Photocarrier dynamics in GaAs/AlGaAs modulation-doped heterostructure was investigated using terahertz time domain emission spectroscopy and photoreflectance spectroscopy. Results are discussed in the framework of the temperature dependence of junction electric field. The information may allow us to conveniently investigate the electric field via THz time domain spectroscopy. H. Bardolaza, J. D. Vasquez, M. Bacaoco, A. De Los Reyes, L. Lopez, A. Somintac, A. Salvador, E. Estacio, and R. Sarmago. 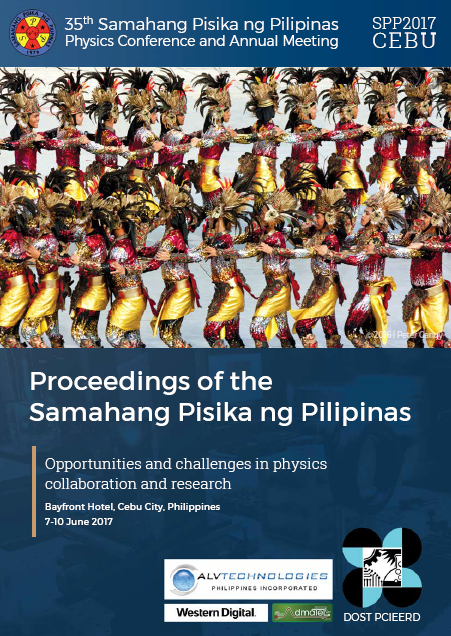 Photocarrier dynamics in GaAs/AlGaAs modulation-doped heterostructure from temperature-dependent terahertz time domain emission spectroscopy and photoreflectance spectroscopy, Proceedings of the Samahang Pisika ng Pilipinas 35, SPP-2017-PA-25 (2017). URL: https://paperview.spp-online.org/proceedings/article/view/229.